It’s 7:00AM, I’m out of bed and at the beach just as the sun is climbing its way above the mountain tops. The water is calm, too calm, like before a storm. 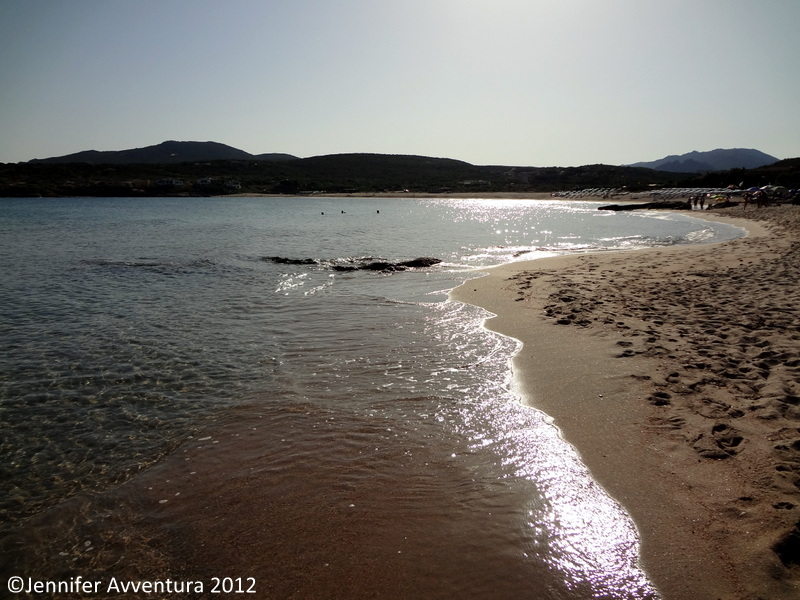 There are hardly any beachgoers at this time of morning, it’s perfect and Marinedda is mine, if only for a moment. The ocean flirts her salt water wind in my direction. I breathe deep, as if in a yoga trance. In the distance lifeguards are raking the morning sand clean, their darkened chests reveal their hours worked in the hot Mediterranean sun. A large wooden bar sits on the precipice of ocean and sun, waiting silently for her guests to come. Salt water waves crash at my feet, calling me home, inviting me in. 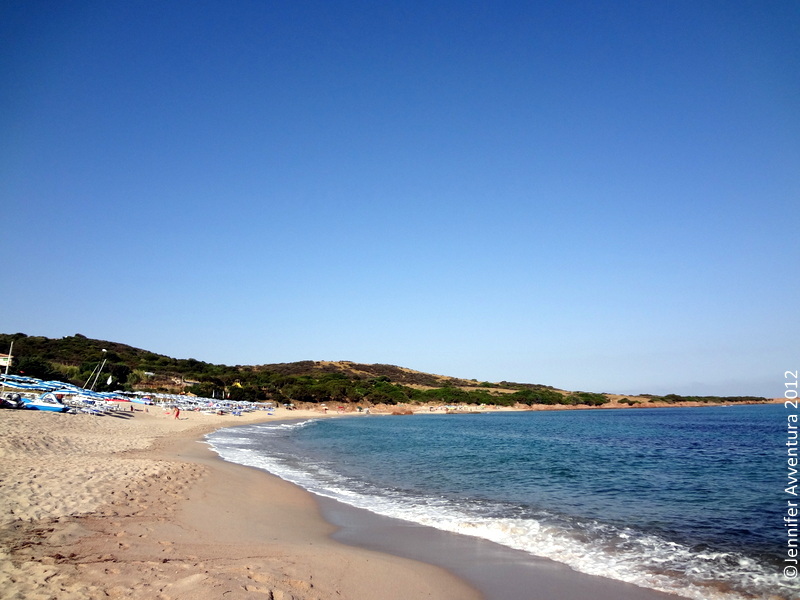 La Marinedda Beach is an hours drive from Alghero and Olbia airports. It’s on the same stretch of coastline heading towards Isola Rossa. Every August La Marinedda hosts the Frozen Open Surf Contest attracting surfers and spectators from around the globe. 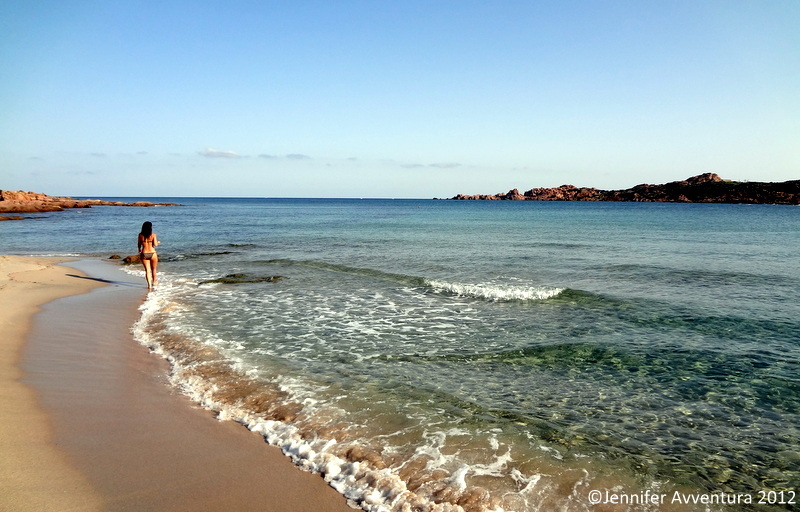 The beach is enclosed on the west by large red granite cliffs named Punta Canneddi. 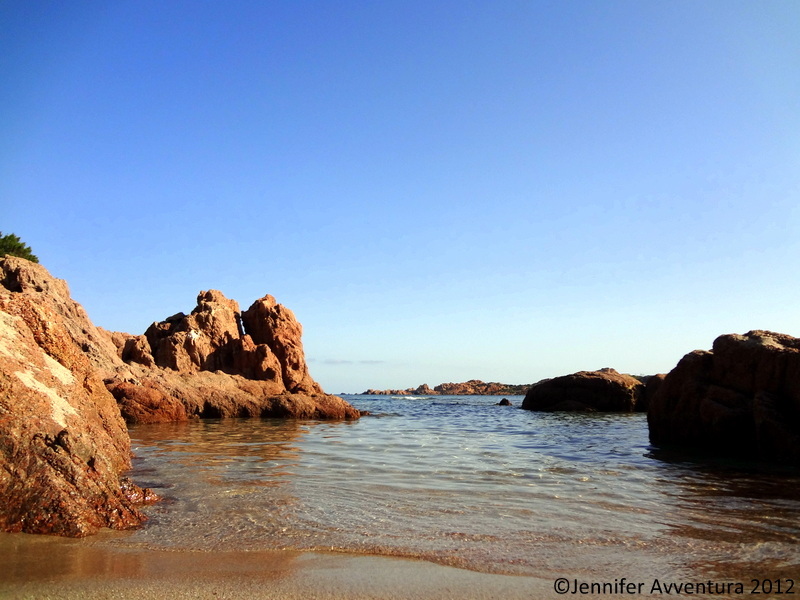 The landscape is true Mediterranean … as the vivid greens of the juniper trees contrast the imposing red granite making La Marinedda a spectacular beach to visit. I wave in peace to the morning I shared with Marinedda. Thank you my beautiful friend … until next time. Where did you spend your morning? This is so beautiful, especially in the morning when it’s still quiet and serene. What a Sardinian life you have there. I wish to gosh I could sleep in that late!!! 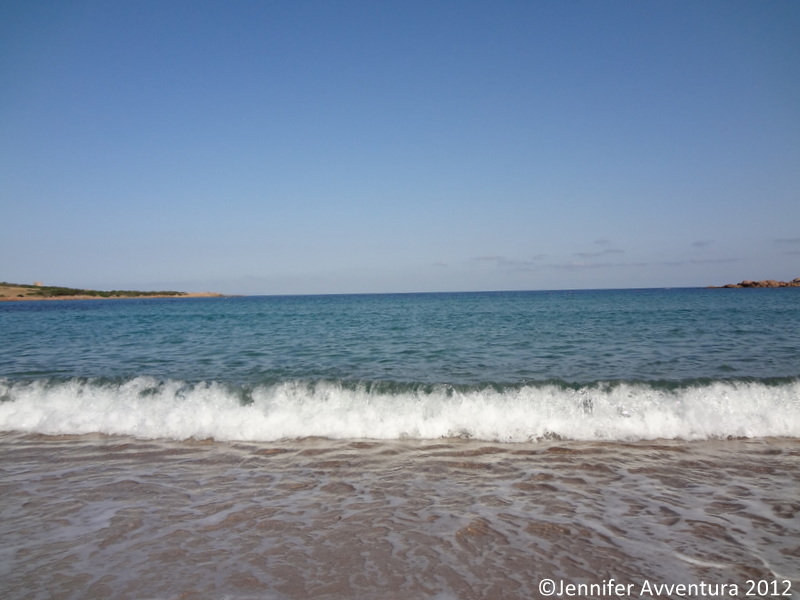 I may not be much of a beach person… but you are making me want to visit one sooner than I want too!! I don’t do mornings. But sometimes when I have worked all night, the end of my day happens at the same time that you describe. When dawn’s imminent light signals that I should close my books and log off, it can indeed be a magical moment of peace. I love our village in winter when most of my neighbors have migrated to Istanbul, and the power fails at night bringing reprieve from light pollution. In those pre-dawn minutes I can see constellations I memorized at school, and glimpse our Milky Way. Like your dawn joy, those personal moments of wonder make life special. I love to go to the beach early, before the crowds. There doesn’t seem to be much surf there, do the waves get bigger sometimes? La Marinedda is the prime surfing area. And actually today … Im sure it’s going to be filled with surfers waiting for their big wave. There are four different beach bars on Marinedda where you can rent paddle boats, surf boards, beach chairs and so on. 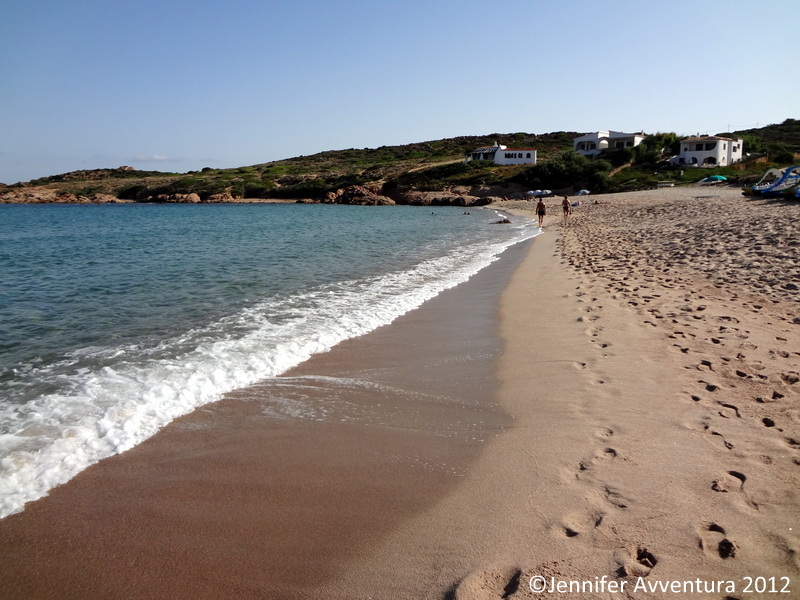 There is also a wonderful area for hiking just slightly beyond the beach to the right called Cala Calboni. 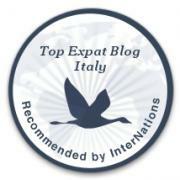 Hai un blog fantastico e anche in Sarda! Ahhh…wonderful way to start my morning, with coffee and tagging along with you on your visit to Marinedda. I could almost feel my toes in the sand. Beautiful photos! Thank you kindly Angeline! Glad I made your morning! Hope you have a wonderful weekend. 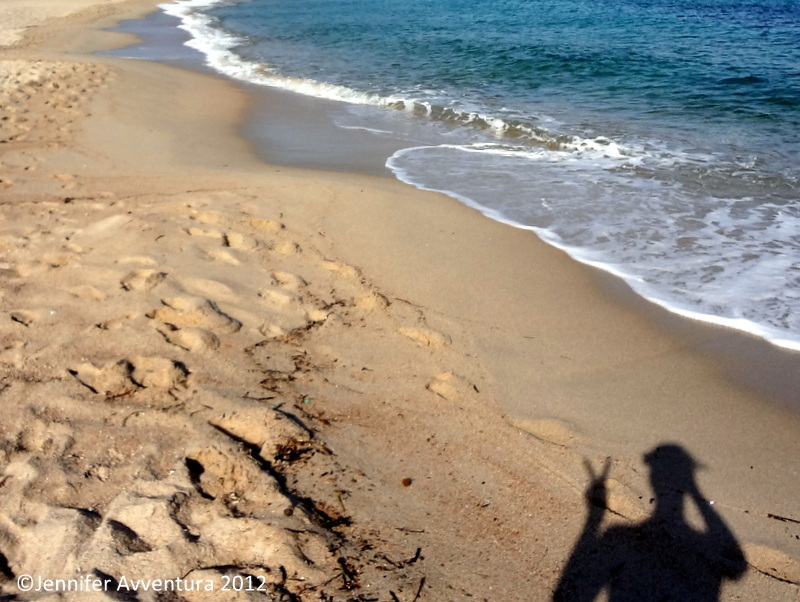 It was worth getting there early and having the beach to yourself! It really was worth getting up at that time! Thanks for following along with my (mis) adventures. Today was the first morning that I actually went to the beach, in forever! We usually head out after lunch as my husband works every morning. I really enjoyed my time out today, it was just beautiful!